Hey everyone – Happy New Year (almost)! Hope you’re all doing well. I missed a few posts last week due to Christmas and a few other things going on in my life but I’d rather not go too long without posting here and also, it’d be nice to kick off 2019 on time and with consistent posts. Technically, this Scrawlrbox arrived at the end of September but it was clearly a box of art supplies meant for the October art challenge Inktober and I used the supplies in October so that’s why it’s appearing here. 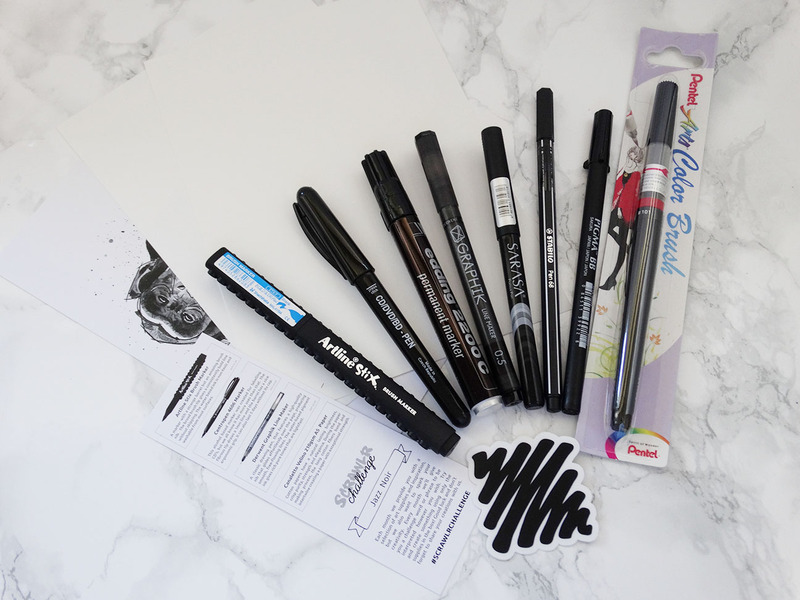 I mean it’s also here because the box was one of my favourite things from the past few months because it was a box of black pens of all difference styles and sizes and damn do I love me a selection of black pens! 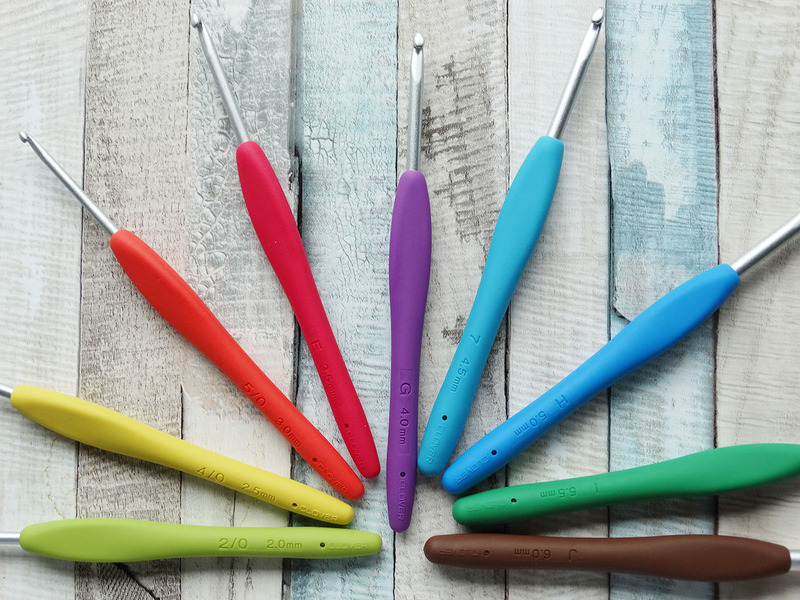 It’s a set of Clover Amour crochet hooks! Don’t they look so pretty? I’d been wanted them for a while because not only is each hook a different colour making it easy to find the hook you want, but these hooks are so comfortable to use. Let’s face it, yarn will always be on of my favourite things! Onto something a little less arts and crafts related…but still slightly because they’re things designed by artists that I got usually to stick on my sketchpads and journals…stickers! 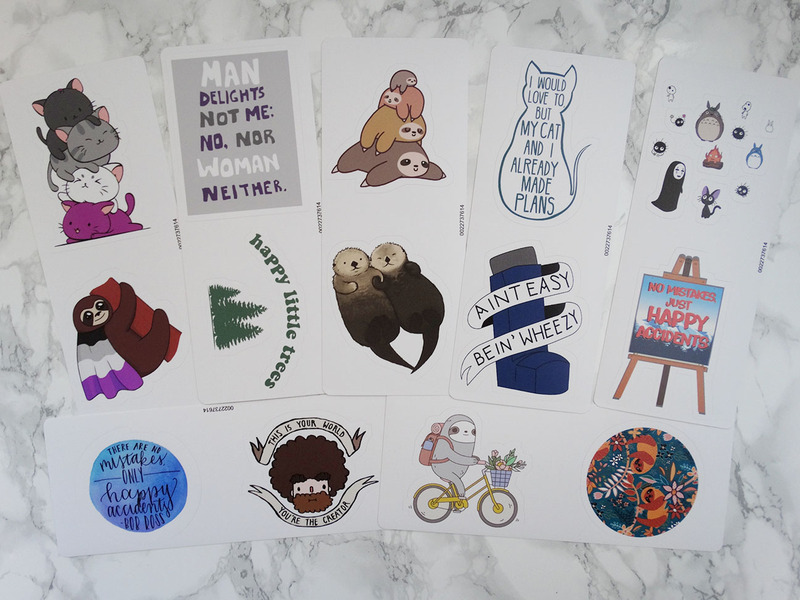 I bought a lot of stickers from Redbubble. I a lot of them were sloth related, Bob Ross related or asexuality related. 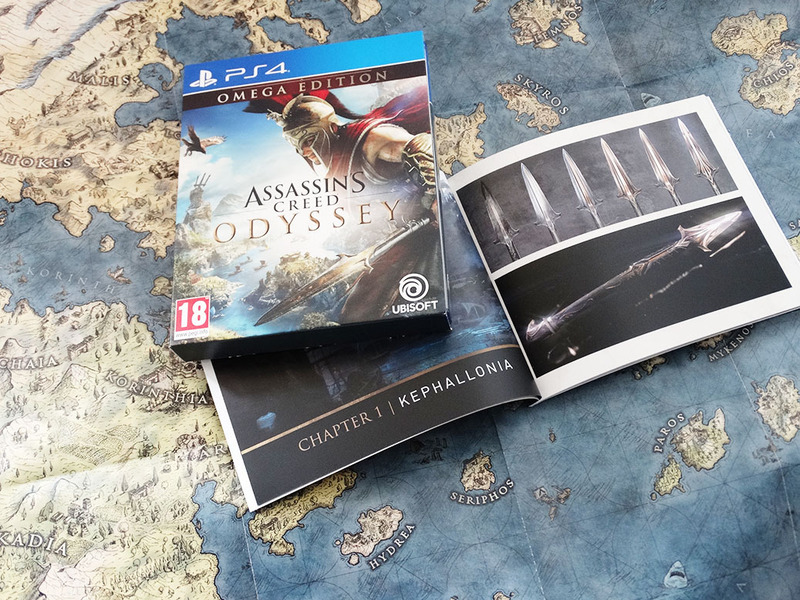 Okay, something definitely not arts and crafts related for my last pick of favourite things: Assassin’s Creed Odyssey (and the PS4 games I’ve been playing in general). I got AC Odyssey for my birthday back in October and have been loving it. I haven’t had too much time to play it lately and have barely scraped the surface of the game so I’ll be playing it well into 2019 I guess! Spyro Reignited finally came out! So those have been a few of my favourite things from October, November and December. Let me know what you think of my selection and what have been some of your favourite things? Oooooh I kind of lost track of assasins creed! They come out so auixkly – I only managed to get to Assasins Creed 3. Spyro was one of the games on my christmas list. Cant complain I didnt get it though – My fiance got me We Happy Few so thats in my playstation atm. They do come out pretty quickly, Odyssey came out only a year after Origins I think! But with two big games in quick succession, I don’t think the next one will be out for while so at least I have plenty of time to get through Odyssey (because I’m gonna need all that time!). I’ve not seen too much of We Happy Few – it sounds interesting and looks kinda cool. What’s it like? Its quite interesting – I am only a few hours in but i am enjoying it so far. Its certainly a unique storyline with a Lot if really creepy stuff to discover tucked away in abandoned buildings and such. I’ll have to add it to my list and try find the time to check it out then, sounds interesting! I love your eclectic selection of favourite things – I think you know mine……………but just in case – COPICS!!!! !